Have you got an idea or niche that you’re an expert in? A burning desire to flip conventional wisdom on its head? Or simply a wealth of knowledge in your field? Then you’re an ideal candidate to expand your product offering and to carve out a niche as a Thought Leader. As we’ve previously discussed in broad strokes here, consistency, depth and uniqueness are key to becoming a successful and productive Thought Leader. But how do you go about charting a course to becoming recognised? Blogs work for two reasons. One, they present a free platform to air, refine and solidify your views. Two, they give you a nudge up the pages of Google. The search engine giant favours websites that regularly post fresh content. To get the most out of a blog, you’re going to need to post regularly – once a week is good but once a day is excellent. Most people don’t have the time to invest in thinking up new ideas and then sitting down to execute them. That’s fine. Hire a copywriter who’s knowledgeable in your field. But, make sure you give them a clear idea of the views you want communicated. Before the writer gets started, ask to see a content plan indicating a week’s worth of stories, and always have the writer leave room for impromptu pieces hot off the press. Don’t leave them in the dark as to your ideas, either. It’s your mind people want to see on the page. 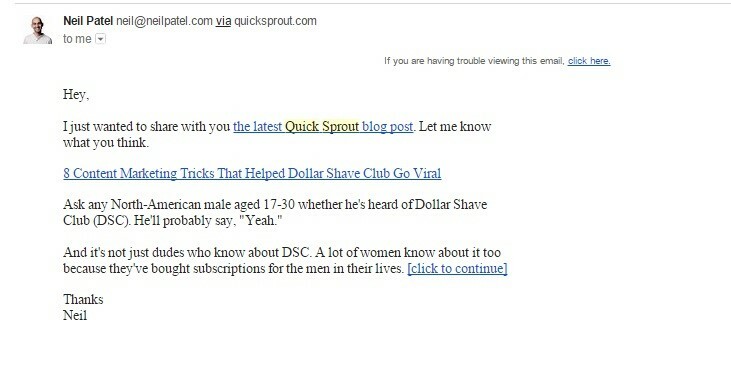 Newsletters have been around since the dawn of the web, but they’ve never been more valuable. Every good content marketing site produces one. Neil Patel’s is as simple as a few lines of text. Others are mini magazines, replete with images linking to in-depth articles. You can choose to be as complex or lean as you like – the key is to offer the option. Use MailChimp to create and send out your mailers. It’s free up until 2,000 subscribers. If you’ve got more than that, you’ll be making the type of money to spare the cost. The number one reason to podcast is to connect with likeminded influencers. In short, it’s a great networking opportunity, as well as a low-bandwidth way of reaching your audience through a personable medium. Invite guests on to the show to keep the content fresh and aim to make each show at least 30 minutes long. Listeners are willing to indulge longer podcasts. That’s because passively listening to something lends itself to multitasking. Invest in a good microphone and a pop filter to guard against the popping sound your mouth makes when you get too near to the mic. Finally, gauge audience numbers early on and solicit feedback if you can. Like the blog, consistency is key, so settle on at least a show a week and upload your efforts to your website, social media platforms and audio sharing sites such as iTunes, Stitcher or SoundCloud. Video is the fastest-growing medium of all. By 2020, Facebook experts predict 90% of its content will be video. The filming process doesn’t need to be expensive. You can capture footage on your phone. Where you should spend money is in the editing booth. A good video editor will liven up any amateur’s work. Finally, a good tip. If you’re uploading your work to Facebook, add captions. Many people idly scroll through their feed without unmuting the audio. But a surprisingly large proportion of viewers pause to the read the text that appears on screen. If you can afford it, hire a publicist to make contact with publications in their portfolio (or take the time to do it yourself). You’ll be amazed how many magazines are looking for quality content. A publicist will pair you with the right publication, so if you’re in a business-related field, mags like FastCompany, Inc., WIRED and Entrepreneur will be on their radar. There’s no way of proving that a magazine will net you more customers, but that doesn’t matter. They’re great for publicity, and being able to point to your name in print does your reputation the world of good. Finally, the biggest platform of all Thought Leadership: the speaking circuit. Managing to secure your footing at a regional TED event will boost your profile immeasurably. From talks on how to spot a liar to why looks aren’t everything, how to avoid procrastinating, dealing with stress and more, TED is interested in everyday topics big and small. Provided you have a unique insight, get your name on the roll. Finally, don’t be afraid to experiment. If you have a left-field idea for a new video, what’s the worst that can happen? No one will watch it. But if you try and fail, simply try again. Rather go 1 for 5 instead of 0 for 0. As Samuel Beckett said: Ever tried. Ever failed. No matter. Try Again. Fail again. Fail better.